Win McNamee/Getty ImagesChristine Blasey Ford’s lawyers say she hasn’t been able to move home because of death threats over her testimony against Brett Kavanaugh. Christine Blasey Ford has still not been able to return home because of the volume of death threats she has received since she accused Brett Kavanaugh of sexual assault, her lawyers said Sunday. Ford originally hesitated to put her name to the allegations, telling The Washington Post she feared upending her life while leaving Kavanaugh’s Supreme Court confirmation process unaffected. Kavanaugh, who repeatedly denied Ford’s allegation, was confirmed as a Supreme Court justice on Saturday. 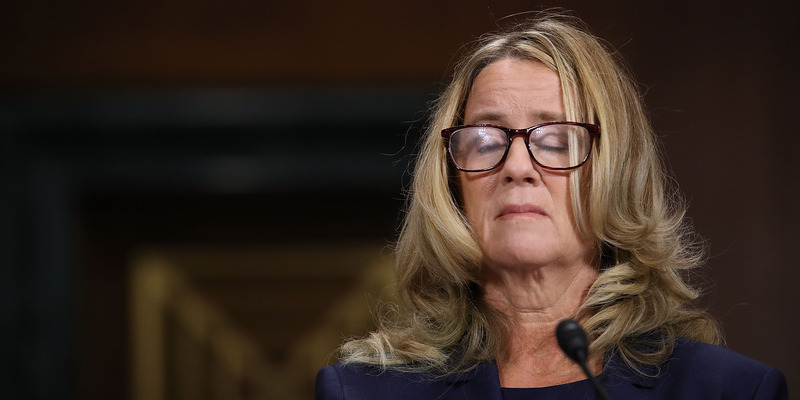 Christine Blasey Ford’s lawyers say she has still not been able to return to her home because of the “unending” death threats she has continued to receive after testifying against Brett Kavanaugh, who was sworn in as a Supreme Court justice over the weekend. Debra Katz, one of Ford’s attorneys, told NBC News on Sunday that it would be “quite some time” before Ford and her family could return home. “Her family has been through a lot,” Katz said. “They are not living at home. It’s going to be quite some time before they’re able to live at home. The threats have been unending. It’s deplorable. 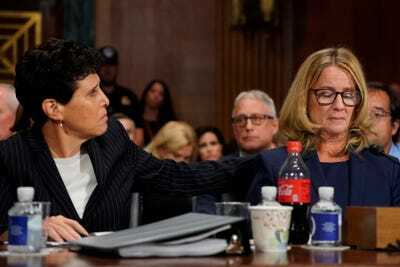 Ford testified September 27 in front of the Senate Judiciary Committee, where she said that during a high-school party in the 1980s Kavanaugh pinned her down, tried to take off her clothes, and pressed his hand over her mouth to stop her from screaming. Kavanaugh repeatedly denied the allegation and, following an FBI background investigation, was confirmed by the Senate on Saturday after senators voted largely along party lines. Thousands of protesters demonstrated on Capitol Hill as Kavanaugh was sworn in. She added that she and her family had been forced to leave their home. “Since September 16, my family and I have been living in various secure locales, with guards,” she said. Andrew Harnik-Pool/Getty ImagesFord with her attorney Debra Katz during testimony on September 27. Ford’s lawyers, in the NBC interview, said the FBI investigation into Ford’s allegations was not thorough enough. This was a sentiment echoed by Democrats, who had hoped the bureau would interview more people as part of the investigation. Banks said Ford “knows” who assaulted her, disputing the idea popular among some Republicans that Ford was assaulted but had mistaken her assaulter’s identity. “She testified she knew him, he knew her, and she knows exactly who sexually assaulted her on that day,” Banks said. Banks also said Ford was “horrified” after President Donald Trump mocked her at a campaign rally. “She was upset by it, yes, as any woman would be who’s the victim of sexual assault who was mocked and belittled by anyone, never mind the president of the United States,” Banks said. Ford, a 51-year-old research psychologist, requested anonymity when she first made the allegation against Kavanaugh in a letter to lawmakers. She later told The Washington Post that she felt her life could be ruined without affecting Kavanaugh’s confirmation. “Why suffer through the annihilation if it’s not going to matter?” she told the newspaper.